Hans Petter Langtangen, Simula, August 2012. We are very sad to inform you that our friend and colleague, Professor Hans Petter Langtangen, passed away on October 10th. Hans Petter was an extraordinarily productive author, lecturer, supervisor and researcher. His books on software and methods for solving differential equations are widely used and have influenced these fields considerably. He established one of the most popular enduring courses at the University of Oslo and supervised nearly 100 MSc or PhD graduates. Scientifically, he was always concerned with the efficient solution of differential equations, in terms of both CPU and human efforts. He produced scientific software of extremely high quality that has found users all over the world. Hans Petter was also leader of a Norwegian Center of Excellence. The scientific computing community also knows him as a long time member of the editorial board of SISC, and, in particular, as the Editor-in-Chief from 2011 to 2015. Hans Petter loved his work and intensified his efforts after becoming ill. He concentrated on his books, and finished the last book only one week before he died. During his period of illness, he impressed both friends and colleagues by notable openess about his disease, regularly updating a Facebook group with information about the development of the cancer and his treatment. Hans Petter was an unusually friendly man, always willing to share whatever knowledge he had with others. His impact on students and colleagues has been enormous; no one left his office or his auditorium without deeper insight, and a feeling of joy. Hans Petter will be deeply missed by his family, friends and by colleagues from all over the world. We invite you to share your memories of Hans Petter. Wow, I was really sad to hear that this great guy had passed away. Met him fresh out of high school teaching us about python at UiO in 2009. By far, the best lecturer I have had the last 10 years. I have recently started using FEniCS and reading his books. I love the elegance in which he describes the use of each line in the Python script. I googled his name to find his email to ask a few questions and I came to know that he is no more. RIP Hans Petter. I am so deeply saddened to hear that Hans Petter has passed away. I'm reading his works, currently, and they are deeply satisfying, in a way that very few books are. They are deeply helpful too, in a way that even fewer books are. And now I've learned that this great man, who wrote and is teaching me still, has passed away. My profoundest sympathies to those of you who knew him well. Even though I have never had a chance to meet/work with prof. Langtangen, I really admire him for his research/teaching career. In fact, since reading his Python books, I have found love in numerical mathematics. I could not express how elegant the book is, and how it have such a strong impress on a theoretical mathematician like me. So thank you very very much and rest in peace, prof. Langtangen. What can I say? I learnt the ropes of computing from his excellent python book. Thoughts and prayers fir his family. Dear Hans, I googled your name to find your email address because I wanted to say "thank you", even if never met you, for helping me using Python and Flask to build my scientific applications on the web. Nobody has explained better to me what purpose all those commands serve. I was delighted one night finding your notes "Using Flask for Scientific Web Applications" on the web. Your clear writing style was very much appreciated. Then, I was taken aback by the sad news that I found. I am very sorry that sometimes people like you have a short life. I send my condolences to your best friends and family. I was pulled towards scientific computing using Python by reading his books and softwares. Truly a great soul and his departure is a tremendous loss to scientific computing community. May his soul rest in peace. It is only today that I learned of Petter's death, and I am so shocked and sorry. Petter's books on scientific software for the first time comprehensively showed what a scientist should and could do with Python. Before his books, Python was just another nice language. He effectively showed the direction in which NumPy should be going. My personal experience with Petter have been a few most productive exchanges by e-mail during my development of SimPy. I never realized how young he was, his breadth and depth in his work suggested to me that I was dealing with a quite senior scientist. I am missing him, and I will now sit down and read his books from front to cover again, with a lump in my throat. RIP, Petter, and thank you for your wisdom! No memorial tribute over a few paragraphs will be adequate to thank Hans Petter for his contribution to the education, career, and life of mine and no doubt countless others, but I nevertheless feel that I should try to write a few words out of respect. I met Hans Petter back in 2002 during the early stages of my PhD research at Cambridge and when I was much in need of inspiration and guidance. I emailed him about a technical problem, and to my surprise he responded quickly and invited me to spend a month in Oslo working with himself and his team. This I believe to be the turning point of my career and my life as Hans Petter soon became my mentor, and friend throughout various challenges I had in my life since then. The words “never give up” Hans Petter once used still continue to echo in my mind. I recall his modest self-introduction when we first met, and then showing me around the lab introducing me to the Simula team, then driving me to the train station at the end of the day. We kept in touch over the years writing regularly by email. In October last year (2016) when I wrote to him, he replied as promptly as ever and he mentioned that he was unwell although not giving details. I replied with the words “never give up”. Little did I know that he was to pass away only a few days later. Hans Petter was an incredible intellect and person and I was very fortunate to have him play a huge part in my life. My thoughts are with his family, friends and colleagues and all the lives he touched. I'm a Brazilian student of Materials Engineering, I did not have the opportunity to have great teachers on my graduation, but I really want to work with numerical simulations. I have a lot to learn yet, but work from people who REALLY cares about the idea of sharing knowledge with others do inspire and make it possible that one day people like me, with not the best basis, are capable of dreaming of one day become skilled scientists like Professor Hans Petter. I didn`t even started to read all his works, I`m in the second week of my internship (which involves directly numerical simulations), but I truly believe that this book may help me. It is beautiful to live in a world were people like Professor Hans Petter exist. I am thankful for him without even knowing him, without even understanding the size of his knowledge nor the importance of such subjects, but I think that this is the mark of people like him. Legends will never die, it is a true statement. In live and in death, he still help us, and this is brilliant. Many years ago when I worked as a sysadmin for the Math department at the University of Oslo, Hans Petter was a dear colleague. His keen interest in bringing the very best computing resources to the students was an inspiration, and it was always fun to talk with him about any subject. He was a man of many talents, I remember being very surprised when on one "Eplefest", the student/faculty Christmas he played guitar in the band. He played very well btw. I only heard about his death today, and I was immediately saddened by it. He was a great guy. I first met Hans Peter at SIAM Geosciences meeting in early 90's. At that time we were doing porous media flow with stabilized finite element methods. Since them we continued to follow his many contributions in this area, always creative and deeply rooted. May he rest in peace. During the late 1990s and early 2000s, Hans Petter was a frequent guest at the Division of Scientific Computing within the Department of Information Technology at Uppsala University. The primary contact point was with our group on software tools for high-performance computing, where we benefitted greatly from Hans Petter's expertise in that area. 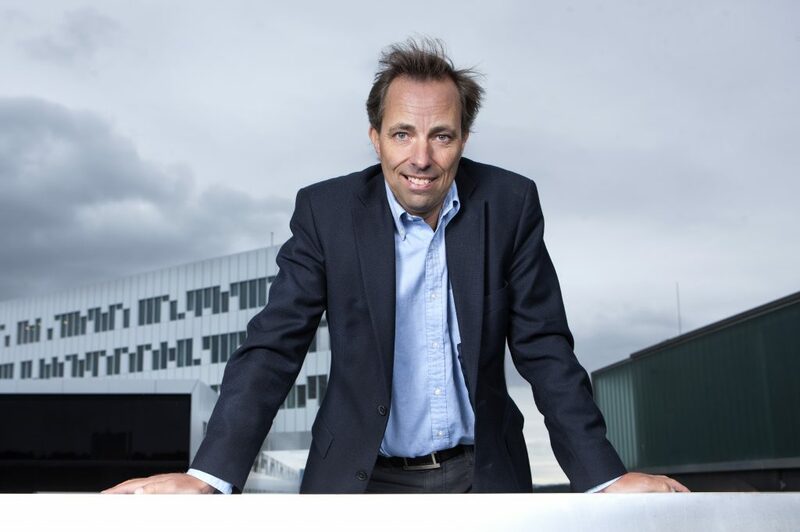 However, with his broad competence in all aspects of Scientific Computing, Hans Petter become an appreciated discussion partner for people from all parts of the division. For many of us, Hans Petter also became a personal friend, kind-hearted and brilliant. We miss him deeply. I met Hans Petter as a young student in 2001 (I think it was), attending his numerical methods for partial differential equations course at UiO. He led me onto my scientific path with that course. His glowing enthusiasm was catching, and his warm personality was unique, always supportive and inspiring self-confidence in all the students. I always looked forwards to the occasions I had to see him over the years, and that I will deeply miss. I was heartbroken by this sad news. I knew Hans Petter by email only, but we started our contacts in 1994 on the occasion of the first Diffpack release. He was a brilliant mind, full of ideas and always humble and keen to help. He passed away, but his memory will live among us. While I did not have the honour to work under Professor Hans Petter Langtangen, I did take some of his courses at UiO. I remember him as a brilliant teacher and a very humble human being. Reading all these letters from people all around the world shows the profound impact Professor Langtangen had on everyone he met. RIP hpl. Hans Petter was my opponent at my PhD Defense. I remember being extremely nervous as I new his reputation in the field. Hans was a great opponent and it was a very good discussion. After the defense, which very C++ focused, he asked my why don't you use Python instead. This opened my eyes to a new programming paradigm, which I have continued to develop. You will be missed. The first time I heard of Hans Petter when I was a post.doc. at MIT in 1984. The rumour of his brilliance had spread across the ocean already when he was young student! Those of us educated at the mechanics group are deeply honored that he spent his young years with us. I went to many seminars to meet him, even though I had left the department just at the time when he started his master work there. He was a fantastic person in every sense.. Always open, continuously spreading ideas and inspiration around him. Academia is a good place to be, once we find people like Hans Petter to be around. His personality was a rare gem, uniquely blending generosity with brilliance. He is deeply missed, but we find continuous inspiration in our memories of him. As so many others, Hans Petter heavily influenced the direction my studies would take. He taught me Python and soon became my supervisor for my MS. But I was also fortunate enough to work very closely together with Hans Petter for a full year, assisting him with creating the "Introduction to programming with scientific applications" course at UiO. He was a remarkable person, RIP HPL! When several years ago I as a retired scientist asked if I might work as a volunteer at Simula, I was interviewed by Hans Petter and Are Magnus. It was a pleasant experience which resulted in the startup of an interesting and challenging project. The project resulted in a new approach for carrying out computer experiments, and Hans Petter guided me gently throughout the project. I am deeply grateful for that. I first met Hans Petter while doing my master degree at SINTEF Applied Mathematics. His enthusiastic promotion for using object-oriented techniques for numerical software development sparked my interest for the C++ programming language. He was an excellent motivator and I am grateful for the influence that Hans Petter's teachings has had on my entire working life. Rest in peace, Hans Petter. Hans Petter was a great inspiration to me. I will miss his drive and positive attitude to science. May God give comfort to his family at this difficult time. I was very sad to learn that Hans Petter died. Hans Petter was a great scientist and a warm and good person. He will be deeply missed by the Norwegian scientific community. Hans Petter was open and clear, friendly and determined. Open to discuss themes that others were interested in and found important, beyond his own interest, to learn and understand and contribute. Clear in his opinions, with deep arguments and well documented, precise in his polite way. Friendly, with a biiig smile, gentle eyes under his glasses, yes in a hurry, like we all are, but you felt he saw you and heard you. Determined where you needed to be so, because there are principles, maybe ideals, that matter. He did not like methods that find an occasional application in biology or medicine, he wanted to start with the life-science question and develop the mathematical and digital instruments to answer them. We thought we could start to do multiscale models and statistical inference together, we hoped so. There was no time, Hans Petter. But we shall try to do it and we know you would have liked it. As former employee at Simula I had the pleasure to work closely with Hans Petter for several years. I first learned to know Hans Petter as a fellow student back in the early eighties at the University of Oslo, although he quickly advanced to teaching as we still finished up our degree. Hans Petter was remarkable in more than one way; he was an optimistic and creative soul, a very friendly and helpful person, a genius researcher and an excellent teacher. Until recently he also supervised two of our sons at UiO, and they can confirm what a brilliant and enthusiastic teacher he was! On behalf of my family and myself I will express my deepest condolences. RIP, Hans Petter! Hans Petter passed away far too early. He was a very special person equipped with the talent to reduce complexity of numerical programming in order to pass it over to students in simple words and in form of enjoyable books on scientific computing. He had the ability to interact with many different people, he was very inspiring, positive, enthusiastic and friendly. Hans Petter was a generous person full of energy, spirit, passion and love. The world needs more people like him. As a perfect model of success combing work with life he will remain in our minds and continue to be present. It is so sad. It is a great honor to have known Hans Petter. I was very sorry to hear the news. I first met Hans Petter over 10 years ago, just as the FEniCS project was starting. His encouragement and energy will always be an inspiration to us all. He was a voice of reason and a visionary, and his work will live on. I first met Hans Petter as a student back in 2003 at the University of Oslo. He immediately became my favorite teacher with his enthusiastic and inspiring lectures. I feel very fortunate and privileged to have had him as my supervisor in my master degree study. Not only was he extremely encouraging and helpful, he was also very kind and understanding. Later he gave me the opportunity to work at Simula, a job which I have enjoyed for the past nine years. I have so much to thank Hans Petter for. I will miss him deeply. Hans Petter gave me the opportunity to start working at Simula through a summer job and like many others I ended up at Simula for some time. During this period, I first got in touch with research and I felt at home immediately. I will always be grateful for this experience. I remember Hans Petter as many others have described already. I would like to share two memories that show his humbleness. I was always amazed how he could remember details of my project event though it was only one small thing that he did in addition of million others. Once, after a summer party and some beers he explained the downside of is memory. He kept on remembering details about people and situations that he would rather forget. It felt like he wanted to downscale his size. Many years later we were talking at the "eplefest". I expressed my gratitude for his modernization of teaching at UiO and that I often was pointed to one of his books about python when I tried to find a solution to something on the internet. His response was typical HPL style, something like " Oh that happens to me a lot too, and it annoys me, because I know what I am looking for cannot be found there"
I regrettably did not have the good fortune to know or work with Professor Langtangen. However, I learned about object-oriented software development from his work on Diffpack, which, along with his book on Python for Computational Science, have greatly influenced the software I have developed for data analysis. I very much appreciate his willingness to make his expertise so easily accessible to all. May he rest in peace. Hans Petter was a perfect example of "Once a teacher, always a teacher". In 1992, I was very fortunate to become one of his numerous master-degree students. In 1995, when I embarked on my PhD, I was again privileged to have Hans Petter as one of my doctor-degree supervisors. Thankfully, Hans Petter's supervisor role never actually ceased at the completion of his students' academic degrees. He continued to nourish me in science as well as in life's other aspects, ever since. Without exaggeration, I can say that Hans Petter left his marks on every progress in my career. It thus pains me excruciatingly to realize that I have lost my life-time mentor, forever. "I'm eternally in debt to you, my dear teacher!" I am deeply shocked and saddened by the passing away of one of the great geniuses in bringing the complexities of numerical programming and bionumerics near to ordinary students like me. I am greatly indebted to Professor Langtangen's work. May he rest in peace and remembered for eternity . I have been very fortunate to know Hans Petter as author of Springer when I joined Martin Peters’ Mathematics and CSE Editorial at Springer in 1998. Since then, I have handled numerous books written and edited by Hans Petter, among them, the bestseller TCSE 6 “A Primer on Scientific Computing with Python”, now in its 5th edition. Hans Petter was very enthusiastic about his new book projects and could often not wait to get his hands on a printed copy of his “new baby”, Hans Petter’s own words of his newly published book. During the production process, Hans Petter’s feedback was very speedy and constructive. I am so sad to lose our very special and endearing author and will deeply miss our regular email contacts. I will remember Hans Petter. I'v discussed research and life in general with Hans Petter on many occasions and look back at those discussions as some of the best I ever had. He has inspired me in teaching, research and how to deal with difficult life events. Grateful to have known Hans Petter. Hans Petter was an inspiration to us all. His books and other teaching materials have been highly influential, not only to countless students but also to a broad range of researchers in computational science, across many fields. Thanks to Hans Petter, my wife Loyce and I had the opportunity to spend a couple months at Simula on sabbatical in 2012, and the great pleasure of getting to know him better, and to appreciate what a warm and generous human being he was in addition to his scientific talents. We will miss him. My first brief encounter with you HP dates back to lower secondary school, a small gig/rehearsal at your parent’s house. You had already then a natural and built a positive reputation for being extraordinarily good with numbers math and indeed people who had a hard time to grasp it . A talent which you made the most and you into a brilliant scholar. I always knew whom to turn to in such matters and you were always open and eager to assist and provide clues where to go next in finding possible solutions and to test the solution/ problem at hand. Beyond QED , you used your curiousity as to provide a deeper insights and a deeper understanding. Whether it be HMM, NN, how to go about a set of ODE , PDEs , DD and ML and get the most out of precious CPU time or just simply in meeting people in a fair and square manner. You always seemed to have or made time, when we from time to time met albeit to infrequent. Open minded, reflexive and keen to help and even if I did not get it the first time around, I always had this good feeling, good vibrations ,and encouraged to pursue matters further. You will be sorely missed HP and I for one will always remember our first brief encounter and you as playful Mathemusician. An extraordinary gifted yet ordinary guy I feel proud to have known. RIP HPL my guitar gently weeps.I really whish you where here ,but I take comfort in that all the great work you done will not be forgotten. I was very very sad to hear that my long time colleague and also friend Hans Petter, who was my partner since the 90s in many discussions, projects and conferences regarding mathematical software (for PDEs based on FEM and particularly for flow problems) und HPC techniques, has already passed away, much too early. I will never forget you! I wish I could have known him better, and for longer. I met him for the first time when I moved to Norway in 2006 to join the Centre for the Physics of Geological Processes. An affiliate of the Centre, Hans Petter surprised me by saying he was excited to meet me; said he knew of my numerical work on asteroid impacts! That embarrassed me. I didn’t think the work was good enough to warrant his attention. Our contacts during my years in Oslo were always pleasant but unfortunately infrequent. A his invitation I gave a talk at Simula. He introduced me by praising my work most highly, and then bringing me back to earth by saying that I was just a regular guy after all. It was fun, true, and totally disarming. He was also a “regular guy”,.easy to talk to, friendly and helpful The last time I saw him he was playing guitar in a little rock band assembled for the Mathematics Institute’s “Eplefest” in January 2015, lively and energetic as always, expressing the same enthusiasm in his music as in everything else. I will certainly miss you, Hans Petter! Hans Petter, you was a very special person. On one side, a brilliant scholar and professor with deep knowledge in your fields, as described by many here. But on the other side, also playful and with the enthusiasm usually associated with a child - open to new ideas, eager and spontaneous. I met you in the mid 90's, and learnt to "speak" C++ from you. Later, you was in particularly instrumental in the last phase of my phd. But even more dear to me, and something I will keep in my memory for the rest of my life, are the many exciting and wonderful discussions we had - about scientific computing, and almost all other sorts of technological topics, as well as music and life it self. I will miss you dearly HPL, but what I learnt from you will continue to influence my life and work for the years to come. Hans Petter was a visionary. Singularly bright. Unbelievably productive. Confident, but open and humble. A lecturer and a listener. He had this rare ability to bring out the best in people. When we talked, he always made me feel I had something to offer. Hans Petter was a scientist and also a musician. A common friend meant he could step in as lead guitarist in any rock band whenever he liked. I knew Hans Petter for 30 years. We worked together in various contexts after we met as students in the 1980’s. Our last project was our joint sax and guitar solo on Van Halen’s “Jump” at Simula’s Christmas party in 2012. Hans Petter was intense! A precious memory. I am grateful to have known him. I first interacted with Hans Petter many years ago. I had asked him to review a full manuscript for a proposed book. Knowing how difficult it is to find people willing to review full manuscripts, I was expecting a brief, high level review. Instead, I received a remarkably thorough and detailed review, with constructive recommendations on just about every section. I was to learn that this was typical of Hans Petter: always going far beyond the call of duty in his commitment to and support of the field of CS&E. How tragic it is that HP has been taken away from the CS&E community--not to mention his family, friends, and colleagues--at such a young age. But as anyone who interacted with him knows, his enormous legacy as a tireless researcher, author, advocate, editor, mentor, teacher, and colleague will continue to influence so many for years to come. I have known Hans Petter since we both went to the same high school. We have remained very good friends ever since. Hans Petter was always excellent in all that he did. He was brilliant at school , he played several instruments (all his friends will remember his late night guitar sessions), he had a lot of energy and we all enjoyed his company. Hans Petter you were a true friend and my kids and my wife will miss you dearly. Rest in peace my friend we will never forget you.